The noble art of boxing is one of the most illustrious sports at the Olympics and has produced a string of legends, although it is perhaps surprising that a sport introduced to the ancient Games in the late 7th century BC has not been an ever-present at the modern Olympics. 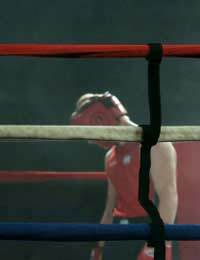 There is evidence that boxing took place in Egypt around 3000BC. When the Greeks incorporated it in the ancient Games, boxers bound their hands and forearms in soft leather for protection and the fight continued until one man went down or conceded. The Romans added a gladiatorial dimension, replacing the leather binding with the cestus, a battle glove studded with spikes or weighted with lead, and fights usually ended in death. Much later, in 17th century England, reference to matches can be found and organised amateur bouts began in 1880. Originally only three weight classes were contested and boxing was omitted from the first modern Olympiad in 1896 because it was considered too dangerous. It was introduced at the 1904 Games in Saint Louis and the USA won all seven weight divisions - not surprising as the Americans were the only nation to enter. Sweden's national law prohibited boxing, so it was not on the programme for the Stockholm Games in 1912, but it returned in 1920 and has been part of every Olympics since. There are now 11 weight divisions contested at the Games - light flyweight (under 48 kilograms), flyweight (51kg), bantamweight (54kg), featherweight (57kg), lightweight (60kg), light welterweight (64kg), welterweight (69kg), middleweight (75kg), light heavyweight (81kg), heavyweight (91kg) and super heavyweight (over 91kg). Boxers fight in an elimination tournament at the Games and are paired off at random, with no regard given to ranking. Unlike most Olympic events, bronze medals are awarded to both losing semi-finalists. Regional qualifying tournaments are held in Africa, the Americas, Asia, Europe and Oceania to allow boxers to qualify for the Games. The strength of boxing in the region dictates the number of boxers accepted from any region and this varies according to weight division. Boxing has more than its fair share of Olympic legends, including Hungarian Lászlo Papp, who won the middleweight title in 1948 and added light middleweight golds in 1952 and 1956. American Cassius Clay, later Muhammad Ali, was the light heavyweight champion in 1960. Following in his footsteps were countrymen George Foreman, the 1968 heavyweight champion, 'Sugar' Ray Leonard, the 1976 light welterweight champion, and Oscar De La Hoya, the 1992 lightweight champion. Teófilo Stevenson won his third successive super-heavyweight gold in 1980, a record matched by fellow Cuban Félix Savón, who won his third consecutive heavyweight gold in 2000. Since the 1952 Games in Helsinki, both semi-final losers have been ranked as placing third. In 1952 the third place finishers were awarded diplomas, but since 1956 bronze medals have been presented. At the 1984 Games in Los Angeles, head guards became compulsory wear, while in 1992 an electronic scoring machine to make judges' officiating more objective was introduced. Only blows registered within one second by at least three of five judges are now taken into account. These weights are wrong there is no featherweights now.